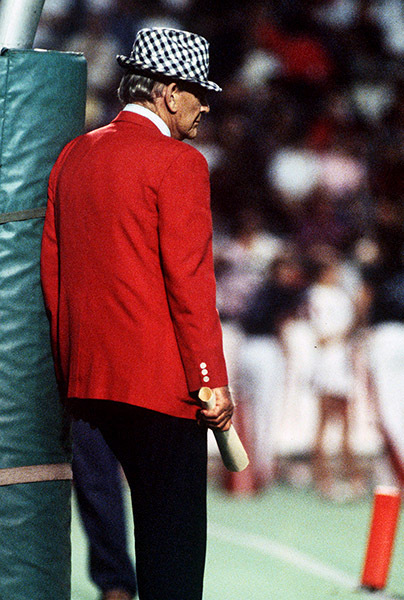 Paul "Bear" Bryant (1913-1983) in his last appearance at Birmingham's Legion Field in 1982. At the time of his retirement, Bryant held the record for most wins as an NCAA Division I head coach. During the 1960s and 1970s, the University of Alabama Crimson Tide, under Bryant's coaching, earned six national championships and had three undefeated seasons.